Features award-winning writers such as Ryan O’Neill, Jen Mills, Andy Kissane, Louise Swinn, Julie Chevalier, A.S. Patric and Kim Westwood as well as stories chosen by Sophie Cunningham in the inaugural Carmel Bird Short Fiction Award. Escapist reading is usually light and inconsequential – ideal for those times when your body is relaxing on the beach, lounging in bed with a breakfast tray or slumping its way to work on public transport. The twenty-eight stories collected here, in Escape, Spineless Wonders’ first anthology, offer escapist reading which will excite as a well as entertain. To escape into reading is to leave the mundane and to take an imaginative leap. These tales take you anywhere from the outback to outer space. Diverse in theme and form, they will tickle your fancy and open your eyes to world events and to your own backyard. Escapist literature is traditionally the domain of well-loved genres. In Escape, we aim to disturb expectations and to delight. Turn the page and here is experimentation, here fantasy. Here’s crime, existentialism and romance. Now an escape artist, now an escapee. Our tastes are catholic, with quality of writing the overriding criteria. If you like your genres with a bit of edge, you’ll love this diverse collection of stories. Contains illustrations by talented young artist, Paden Hunter. 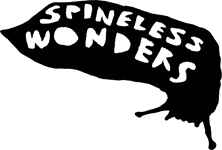 Bronwyn Mehan runs Spineless Wonders, a publishing company devoted to producing quality short Australian stories in print, digital and audio forms. Bronwyn’s short fiction has appeared in literary journals and she was a finalist in the 2009 Age Short Story competition. She returned to Sydney after almost 5 years in Darwin where she was a freelance editor, writing teacher and NT Writers Centre Board member. Bronwyn co-edited, Bruno’s Song & other stories from the Northern Territory, with Sandra Thibodeaux.